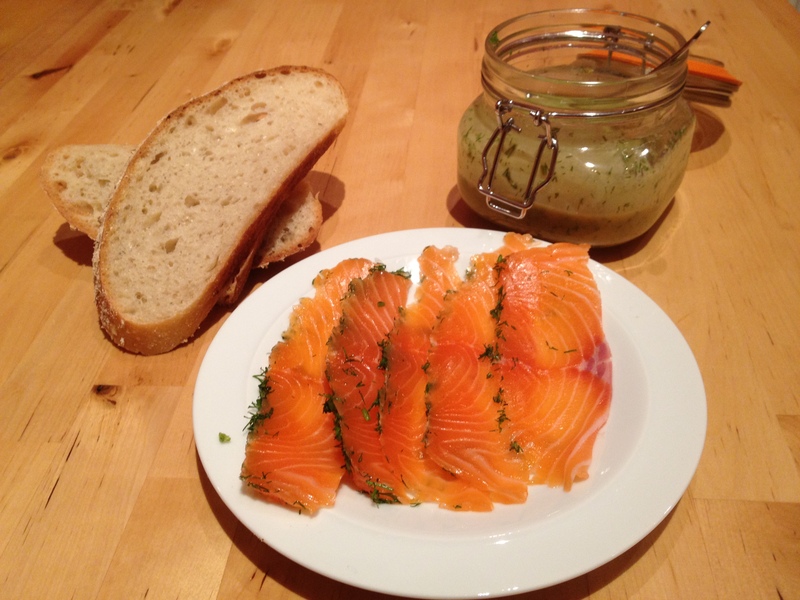 Gravlax is salmon side, cold cured with salt, sugar and dill. 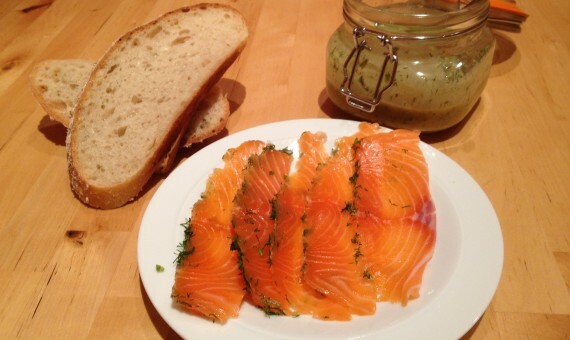 The flavour of the dill infuses through the salmon leaving a delicate flavour. Thinly sliced Gravlax is a popular topping for Smørbrød – our open sandwiches. 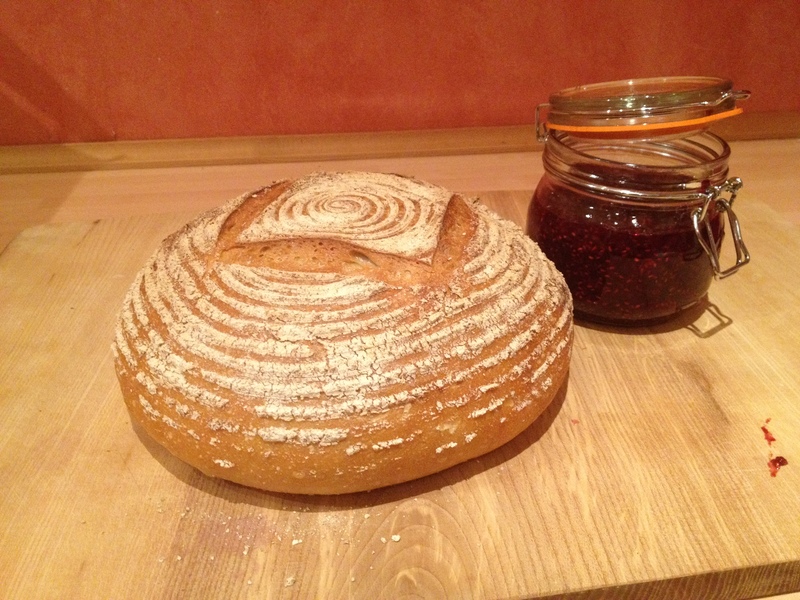 Sourdough is a slow fermented loaf raised using natural yeasts as a leaven. 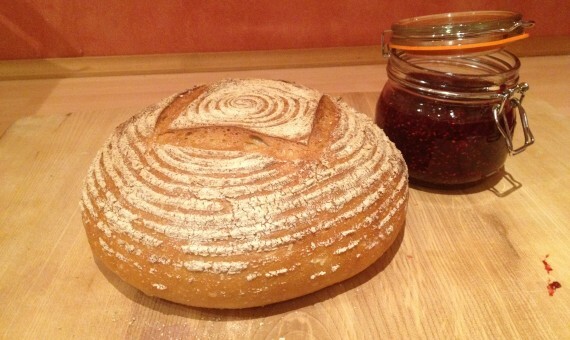 The raspberry jam, like most Scandinavian jams, it is made with a higher fruit : sugar ratio than English jams and tastes strongly of the fruit.